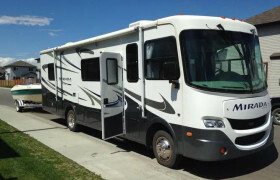 Looking for RVs in Edmonton? 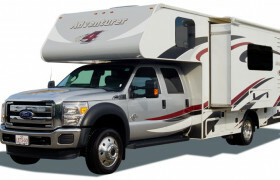 We review 4 local rv hire agencies. 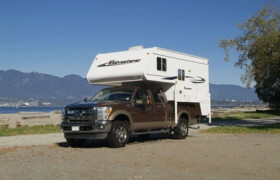 Below you will find the most up-to-date list of RV rental companies based in Edmonton, Canada. If you don't know a brand or location you want to rent from, then scroll down to the map at the bottom and choose that way. As the capital of Alberta, Canada. Edmonton speaks history and contemporary beauty. Nestled on the Northern Saskatchewan River, ancient traces are extensively visible up to the present time. Edmonton offers a unique starting location for the perfect Canadian RV road trip. Circle west or east or even south into the US and you can experience the vast wonders that wild Canada has to offer and some of the best sights in North America. Planning for an Edmonton adventure? But before you pack your bags, you should know when to book your trip. Considering the weather, the perfect months to get around Edmonton is from June to August, which is the summer season. At these months, the city celebrates most annual festivals, so much more lively ambience. But of course, this could mean more tourists and pricier rates. 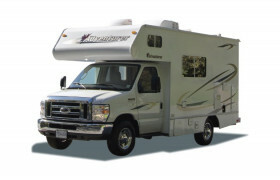 Spring is another great RV rental season because of the milder temperature and beautiful landscapes. The famous Fort Edmonton Park, which is a living history museum, is one of the most valued heritage wonders in the city. Further along the cultural side of the city are scattered natural galleries and landmarks, including the Art Gallery of Alberta, Royal Alberta Museum, Muttart Conservatory, Alberta Railway Museum, and Ukrainian Museum of Canada. Amusement and theme parks are also part of the Edmonton living. The Galaxyland, Fantasyland and World Waterpark are the top picks, which are perfect stop-over adventures for you and your kids. 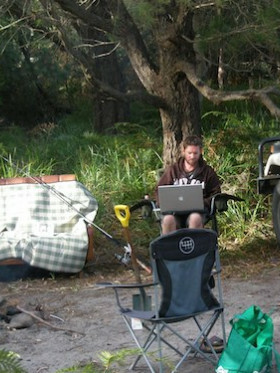 There are also campgrounds with gorgeous nature views and useful amenities. Rainbow Valley Campground and Devon Lions Campground, which both offer relaxing camping experience. One of the best things to complete your RV adventure is to go on a food trip. Well, you really don’t have to worry if you are in Edmonton because the choices are endless! For those craving for some cheesy, gourmet bites, Cavern is a top-rated restaurant. Pies and pizzas are must-try foods too. Some of the best pizzeria in the city are Leva, LovePizza, Tony’s Pizza Palace, and Rosso. Bring the seafood tang into your taste buds as you relish the signature Lobster Risotto from Sabor. And if you need your noodle fix, then create your own noodle at Tao Garden Restaurant!